Natural corks Traditional cork made entirely of natural cork that enables a balanced maturation of the bottled wine. Its physic-chemical properties allow a gradual evolution of the bottled wine, by a reduced oxygenation of the wine helping the formation of the "bouquet". 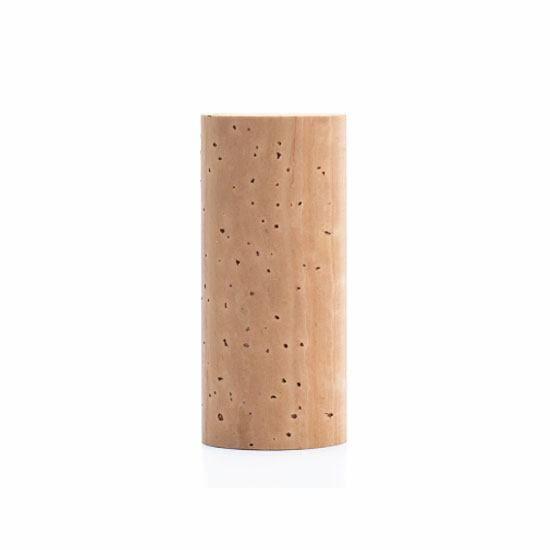 This is the most versatile cork, that can be used for quick consumption wines and ageing wines. However, its value is greater in ageing wines that need to evolve in the bottle.